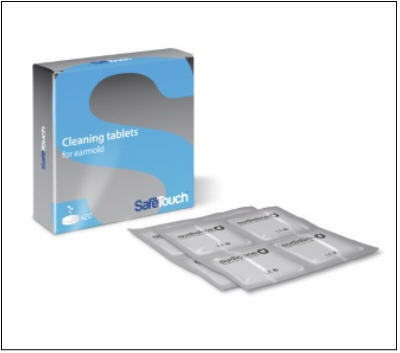 Refills for the SafeTouch™ Cleaning Kit. Simply place your earmold and a cleaning tablet into the cup, and add water. Your earmolds are clean and free of earwax in approx 30 minutes.